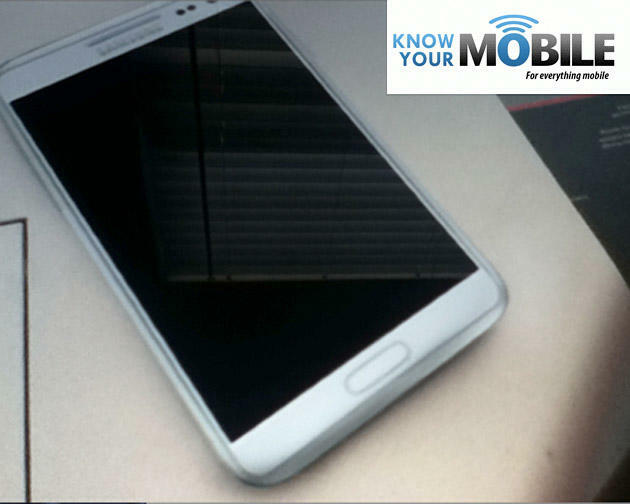 The device staring back at you is supposedly the Samsung Galaxy Note II. Or it’s nothing. That’s the tricky nature of blurrycam shots, you can never tell whether they’re authentic or not. Considering all the previous Note II leaks turned out to be false, we have no reason to believe this one is any different. Only, its design more closely resembles what Samsung has been churning out over the past few months. 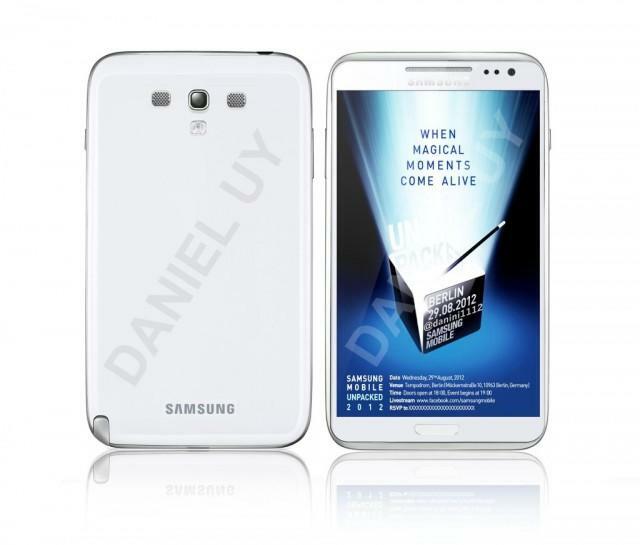 That is, the white/gray combination we saw in the Galaxy S III and Galaxy Note 10.1. Of course, that doesn’t mean this shot is authentic. It doesn’t look like an actual device is posing for the camera; instead, it seems as though it’s a shot of a printed document — at least to me. However, the display’s reflection suggests a device is there. Also, look at the barely-there bezel! The Note II is an intriguing device. The inaugural version was received very well among consumers worldwide, so it’ll be interesting to see how the sequel improves upon the phabulous phablet; Samsung promised something “magical” at IFA, and it has confirmed it will announce the device on August 29th. We know the screen is getting a bump to 5.5-inches, up from 5.3-inches. Other than that, rumored specs include a quad-core processor (likely the Exynos 4 Quad), 2GB RAM and improved S-Pen tech.